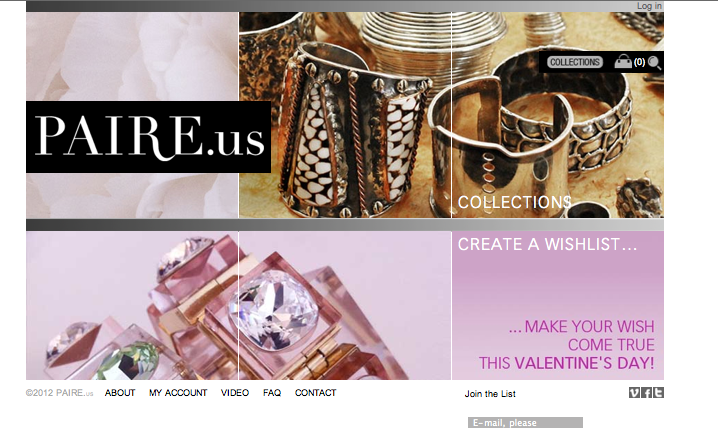 Paire.us is a well edited collection of some of the most exquisite jewelry pieces I have seen online. Unlike many other sites that have massive amounts of anonymously picked pieces, Paire.us is personal and curated, like shopping out of a chic jewel box. The site owners Lissa Hussian and Dominique Marano, who both have impressive tenures at the best fashion houses in the biz (Alexander McQueen, Stella McCartney and Lanvin), select individual items that work towards the greater whole of their collection. I prefer navigating the site by categories rather than by designer and find it to be more user friendly when perusing all of the necklaces, bracelets, and rings at once rather than their Moschino or Jade Jagger grouping. Thank you for connecting me with PAIRE! (Lucky#7!) This site is fabulous. There is nothing I enjoy more than jewelry and I am thrilled to discover so many hot brands in one spot. Thank you thank you!! !